and watch it later on your browser, Apple TV, iOS or Android devices. 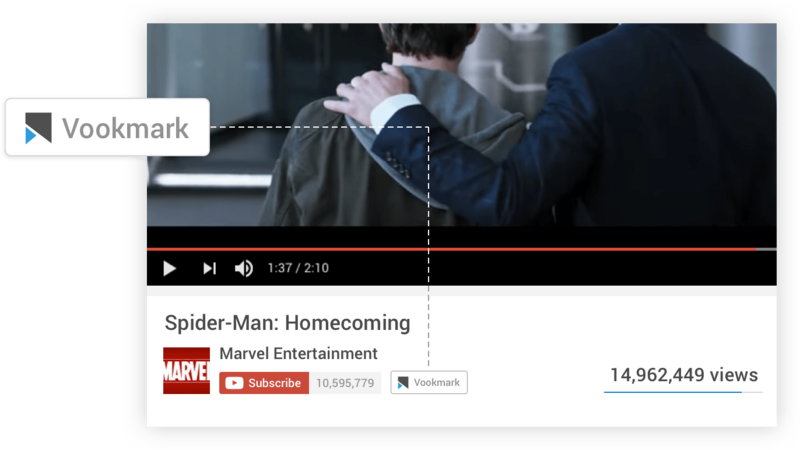 Get the Vookmark browser extensions to save videos and watch later on any device. Vookmark videos from popular video streaming platforms and watch it later. 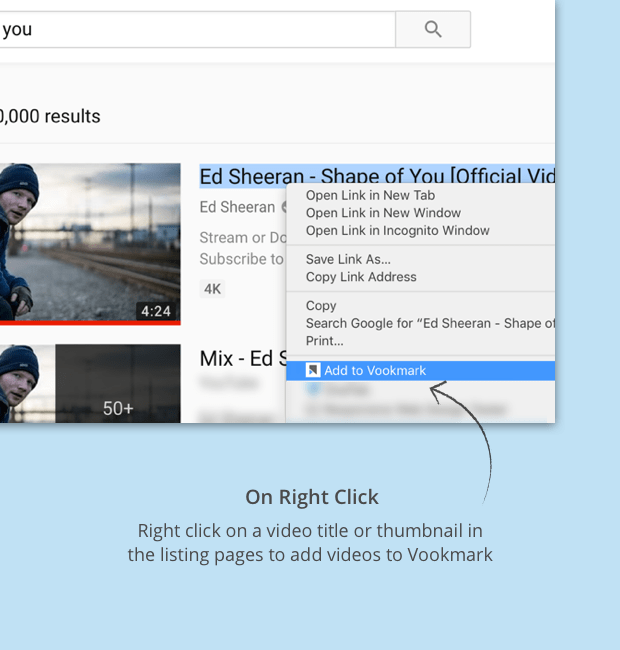 Vookmark also allows you to curate your favourite videos in one place. 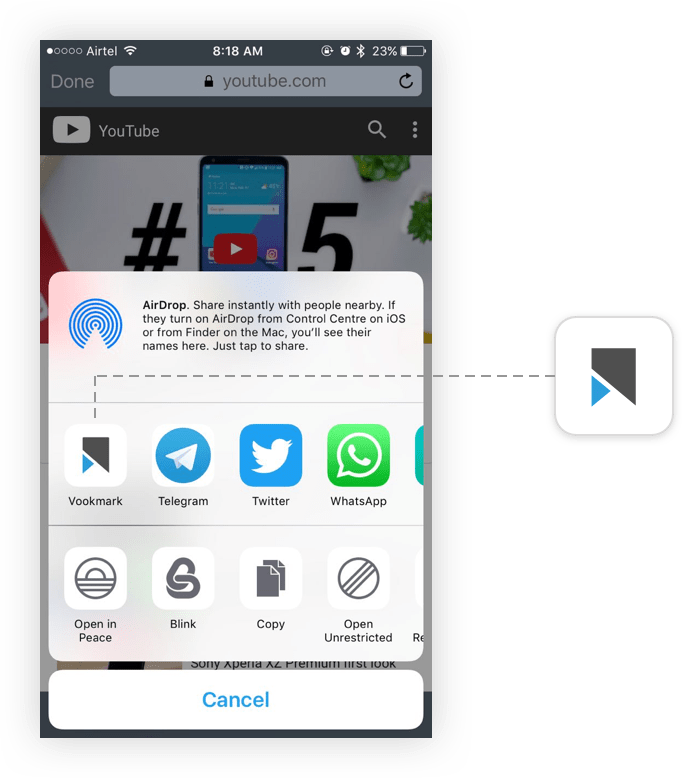 On apps which dont have the default share sheet, you can copy the link, open the Vookmark app and add the video to your collection. 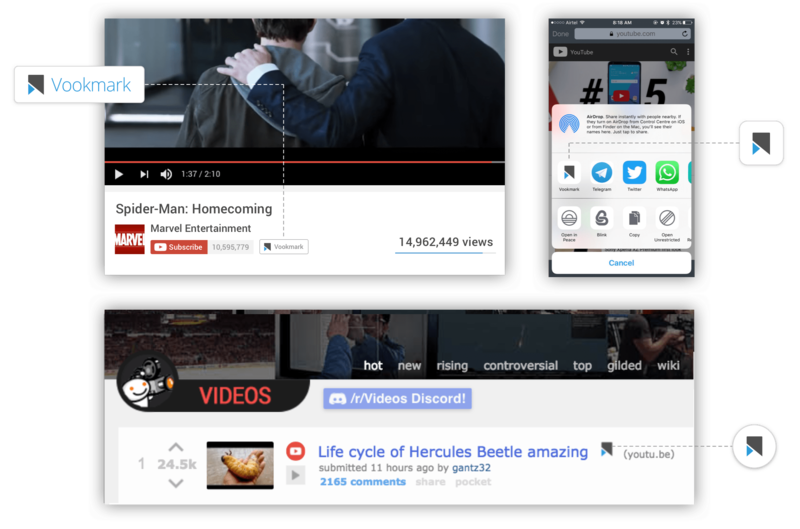 Browsing videos on your mobile? Open the share sheet and tap on the Vookmark icon to add videos easily. Watch it on any device. Any time. Web, Mobile or TV? You choose. Watch the videos on your favorite device at your convenience. Watch your favourite videos and curate videos with tags, integrate with Zapier, without the hassle of ads.